Orthopedic surgeon Dr. Elian Shepherd, with The Methodist Physician Group Specialists in Merrillville, Indiana, have the training and experience to handle delicate cervical spine surgery: often the best option for patients with cervical disc disease. Surgery in this critical area requires precision and skill, which is why you want a specialist like Dr. Shepherd on your team. The cervical spine is simply the medical term for the neck. It starts where the skull ends and continues for seven vertebrae, terminating at shoulder length. Without the skin and muscle covering it, the cervical spine looks a little like a ladder with seven rungs and the head sitting on top. Although not the biggest section of the spine, it’s an important one. It allows the head to stay attached to the body, for one thing, and gives it mobility. The top two vertebrae, the atlas and axis, have unique articulations that increase head flexibility. Just as importantly, the cervical spine protects the nerve and blood connection to and from the brain. A disruption in that flow has devastating effects on the human body. What conditions affect the cervical spine? Like the rest of the spine, the cervical area is subject to overuse injuries and aging. Cervical disc disease, for example, involves a degeneration of one of the discs separating the bony structures. A person with this problem might have pain shooting down one arm, tingling and weakness in the hands, and problems with coordination. Bone spurs are another common diagnosis. Bone spurs on bony projections that grow on the margins of joints. The spine is really just a column of joints stacked one on top of the other, so it is prone to spurs. The spurs can impinge on nerves, interfere with muscle and other connective tissue or cause damage. A third frequent condition affecting the cervical spine is stenosis. Cervical stenosis means the narrowing of the spinal canal, the area that houses the spinal cord. Different problems lead to this narrowing, but it's a condition that’s usually progressive. As the canal continue to grow smaller, it will eventually compress the cord leading to weakness and even paralysis. 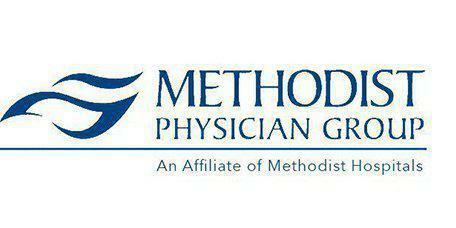 What type of spine surgery is done at The Methodist Physician Group Specialists? Dr. Shepherd are on hand to handle most any kind of spinal surgery, whether it’s caused by disease or trauma. Cervical spinal fusion, for example, joins key bones in the neck to stabilize the area after an injury, or to treat a misalignment of the vertebrae. The surgeon may opt for a cervical disc replacement instead for patients with a disc herniation.